Just add the above line into your . 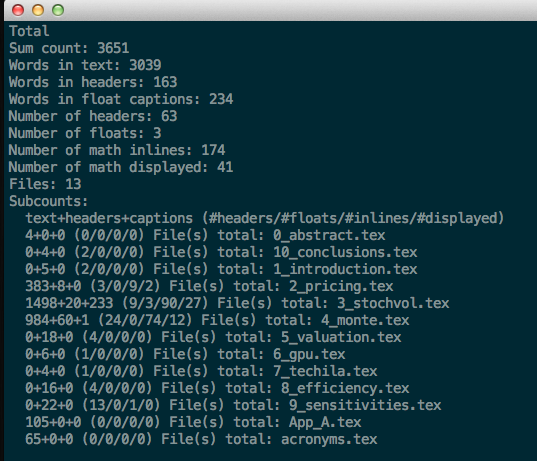 *rc file and you'll be able to get a very accurate estimate of the word count in .tex files. In the example below I'm using it to do a word count of my thesis, which is broken up in different chapters. You even get a break-down of word counts per file.